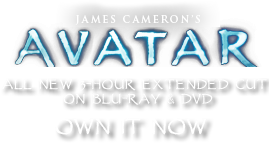 Anatomy and Physiology | Pandorapedia: The Official Guide to Pandora | Own AVATAR on Blu-ray & DVD Now! The Na’vi skull is proportionately small, compared to a human head/body ratio, and is characterized by high cheekbones, feline ears and a protruding, snout. Na’vi eyes are large and adapted for nocturnal hunting. The eye is four times human size, by volume, and has a characteristic gold pigmentation of the pupil. The pupils will retro-reflect green light at night, due to a layer of light amplifying cells in the retina. The eyes are oriented well forward, as with most predators, for binocular vision. Na’vi are known to process stereopsis at a much finer level than the human visual system, and can detect the range and speed of moving objects two to three times more accurately than humans can. Bioluminescent skin cells that produce the noctilucase enzymes emit light when ambient light levels are low. These cells are grouped in lines and patterns of dots that are specific to each individual, and these markings are used by scientists to identify individuals during the study of group dynamics and social interactions, when recorded with photomultiplier cameras. Na’vi emotional states affect the level and to some extent the spectrum of light emitted by the dots, but it is not known if the Na’vi have conscious control of this, as a form of communication.